A while ago I posted Slade‘s version of obscure Sixties track “Shape Of Things To Come“. I posted it in response to an earlier post of that obscure Sixties song performed by someone else, and (sorry – I’ll try not to make this paragraph as complicated as it’s starting to sound) a commenter by the name of Murph (Hi, Murph!) mentioned the Slade version. I didn’t know this (along with plenty of other things I don’t know), and I found out that along with a studio version appearing on their second album, Play It Loud, it appears on Slade’s Live At The BBC, a double album where the first disc contains recordings the band made for the BBC and the second disc is a concert recorded in 1972. 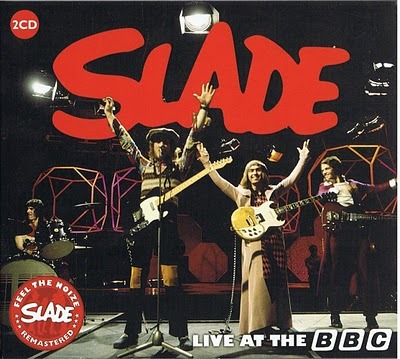 There are two versions of “Move Over” on Slade’s Live At The BBC. I didn’t know which one to choose for today’s song because I think they’re both magnificent, so I’ve gone for both. Boy that’s a catchy tune. It’s just occurred to me that this is an Australian power pop blog. I really should try to find some Australian power pop to play on it. You are currently browsing the archives for the Janis Joplin category.